Curve, the stealthy London-based startup backed by notable fintech investors, finally de-cloaks today with the soft launch of its iOS app and accompanying MasterCard-powered Curve card. Similar to Coin in the U.S., the headline feature is the ability to combine an unlimited number of bank cards into one physical payment card. After loading all of your debit and credit cards into the app, you simply select which card you want the Curve card to act as a conduit for any payments you make. American Express users get the added benefit of enabling Amex to be accepted in more places — effectively anywhere MasterCard is accepted. Curve’s ‘all your cards in one’ approach delivers a number of other immediate benefits. These include the ability to see and tag all of your transactions in one place, regardless of which card they originate from, and significantly lower foreign exchange when spending abroad. Regards the latter, the startup charges the MasterCard wholesale rate plus 1 per cent, and with no additional transaction fees. That’s particularly noteworthy considering Taavet Hinrikus, who co-founded money transfer startup and reported ‘unicorn’ TransferWise, is an investor in Curve. However, it’s the startup’s longer term ambition (and, dare I say, what likely attracted investors like Hinrikus) where things get interesting. That’s because what Curve is really building is what I’m going to call, for want of better words, a fintech convergence platform, built on top of your mobile phone. Starting with ‘all your cards in one’ and a consolidated view of your spending, coupled with cheaper FX, Curve wants to make that ‘eventually’ more immediate. All without having to drastically change consumer or business behaviour — which can’t be said of Apple Pay, for example — hence building the service mobile-first but interfacing with a traditional payment card. “Although this unbundling has introduced greater efficiencies and a better cost basis for both consumers and businesses, it has also perpetuated and exacerbated the fragmentation that underpins the financial landscape,” explains Curve co-founder and CEO Shachar Bialick. “As a user, I know all too well the requirements to own and manage multiple different cards, accounts, and services to stay on top of my financial self and save money”. This might consist of a personal and business account — Curve is initially targeting entrepreneurs and freelancers — an Amex, Virgin Money or Nectar card for their respective rewards programs, something like TransferWise for sending money abroad, Nutmeg for investing, and Mint for managing your spending. The more financially savvy you are, taking advantage of all the various unbundling that is happening, the harder it is to manage and keep track of your money. It’s this cognitive overload that Bialick and his team are on a mission to reduce. At this stage, that’s as close as Bialick will come to saying that Curve will become that platform, instead referring to the work his startup is doing as tinkering. Either way, he says it will almost certainly be mobile, hence why Curve is centered around its iOS app and the platform is backend and payments interface or front-end agnostic. 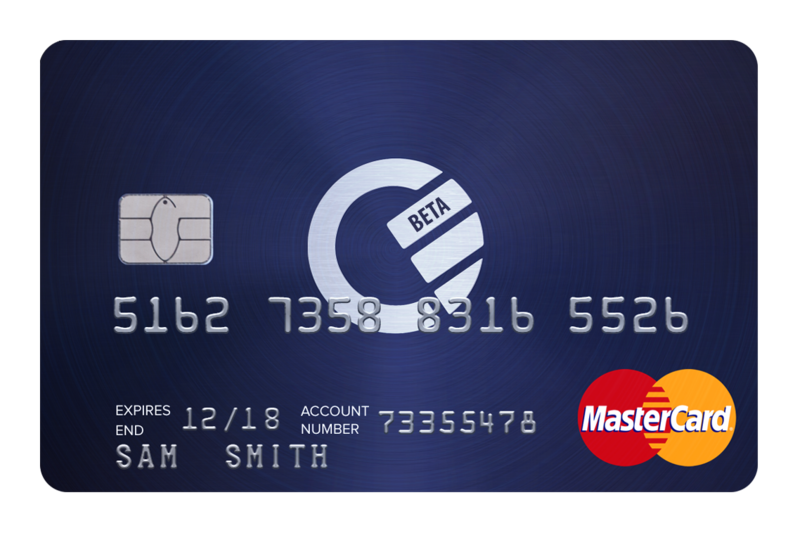 In other words, Curve has been designed to plug into any payments system under the hood (today this is cards, but could be bank accounts or an online payment provider like PayPal) and in the future could replace or complement the Curve card itself with an NFC compatible smartphone or wearable device — or any future payment interface. “This will put the user back at the centre, connecting them with their unique ‘Everything Money’,” says Bialick, crowbarring in the startup’s strap-line. “We believe that smartphones have the potential to provide the infrastructure for that platform”.